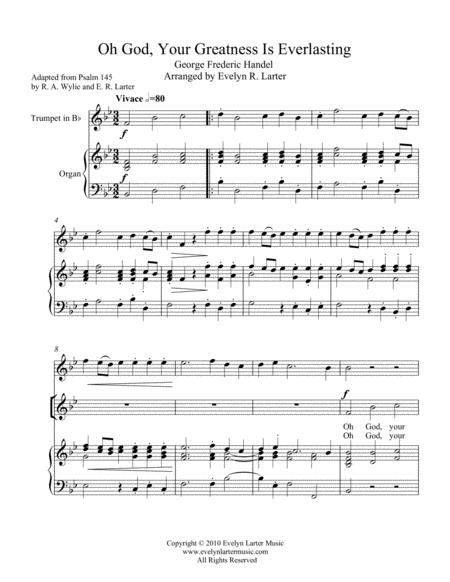 Composed by Evelyn R. Larter. Baroque Period, Christian, Sacred, General Worship. 6 pages. Published by Evelyn Larter Music (S0.209279). An uplifting text from Psalm 145 is here set to Handel's famous Hornpipe from the Water Music. 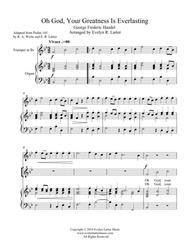 For SATB and organ or piano with optional trumpet obbligato, this is a very easy anthem for when you are short of rehearsal time! It is suitable for any General Worship service. The trumpet part is also effective played an octave lower in places so a good high school player should be able to do it. The recording is a simplified version of the first verse only for children's choir and organ. More information on my music may be found at www.evelynlartermusic.com or on my Facebook page for Evelyn Larter Music.